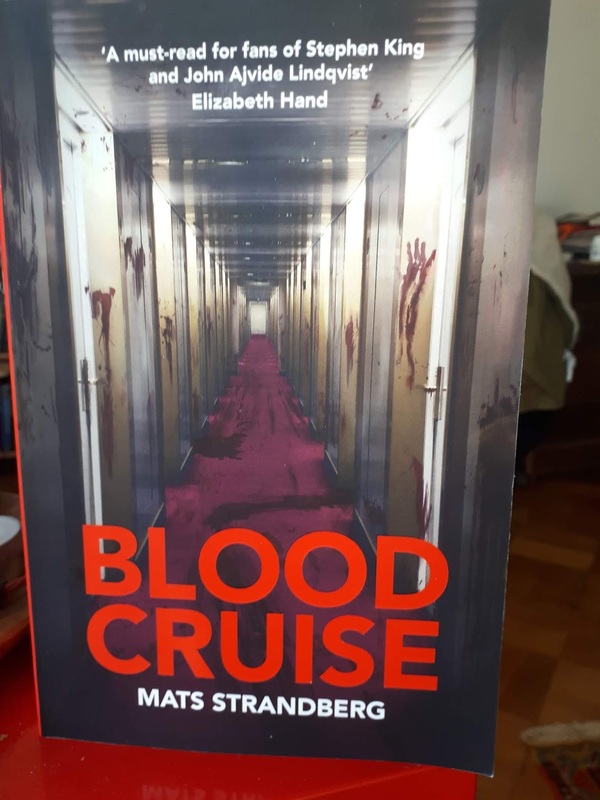 Elizabeth Hand has called him a "literary cult waiting to happen", City Magazine said he is Sweden's new horror king and I had previously claimed he is the man who ruins things for his readers (because he writes them so scarily!). Guess Who Else Is Back? Great news: On May 8th, 8.00 pm Cory will be back at the Otherland for a small meet&greet! 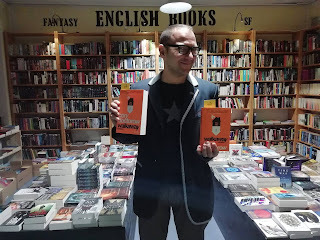 By the way; his newest short story collection Radicalized is now available in harcover at the Otherland; Marc has reviewed it for the last newsletter. The doors open at 6.30 for everyone who has already made a reservation; at 6.45, we'll admit all the others - as many as we can - in. We are deeply sorry, because you, our newsletter reader's, should have had the chance to make a reservation first; we promise that we will manage things more carefully next time. Before that, on April 26th at 7.30 pm, we’ll meet for the inaugural discussion of the Otherland Mythic Fiction Book Club, where we’ll talk about Madeline Miller’s goodreads Reader’s Choice Award-winning Circe! The Otherland Speculative Fiction Book Club meetings are always on the second Friday of the month (additional book club sessions, like the Mythic Fiction Book Club, on any given Friday) at 7.30 pm at the Otherland Bookstore. There's always snacks and drinks that you don't have to pay for, contributions are welcome. You never need to sign up to join us, but we appreciate it greatly that you do read the book if you're coming. Enjoy our recommendations for April! 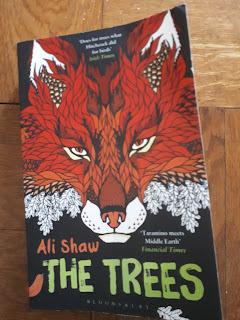 We have two book club discussions this month and the first is next week already: we'll meet Friday April 12th, at 7.30 pm at the Otherland Bookshop to discuss Ali Shaw's The Trees. What would the world be like if the trees took over; growing incontrollably and abundantly, destroying buildings, roads and even people along the way? And how would the survivors get organized? What is nature up to? All questions Shaw tackles in this postapocalyptic fantasy novel. The second meeting will be the debut discussion of the Otherland Mythic Fiction Book Club on April 26th, first book is Circe by Madeline Miller. Blackfish City looked like THE thing to me – a book about climate change and gentrification, endorsed by Ann Leckie and Daryl Gregory, compared to Kim Stanley Robinson‘s work … I thought I was bound to love this but when I finished reading it, I did not only feel let down, but also slightly angry. So I won‘t pretend this is a review. It is an opinion piece that is probably of more interest to people who have already read Blackfish City then to those who haven‘t, and it is very much about what I wanted to book to be. I‘d like to ask forgiveness for any inaccuracies: I‘ve read this book about three months ago and initially decided not to review it; but since my anger keeps coming back to haunt me, it must be vented out. From here on, beware of SPOILERS. Don‘t let them get organized! I know, I know, I‘m one book behind on this series, but this is actually quite a feat, since usually, I only read the first book in a series, ever. 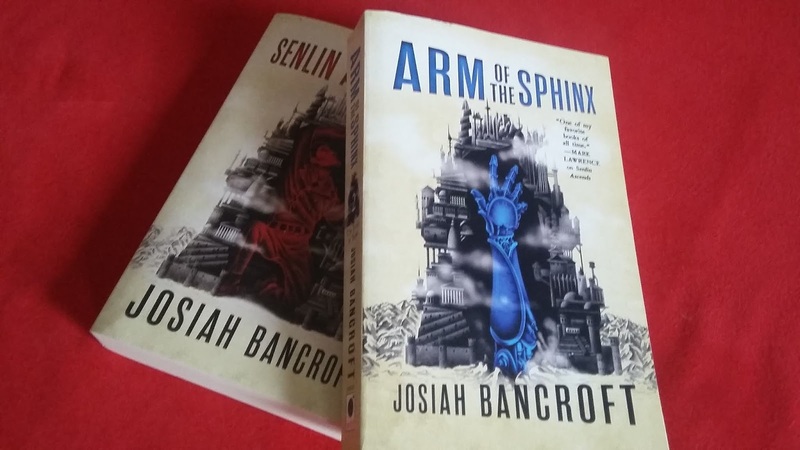 Not so with the Books of Babel, the first of which, Senlin Ascends, is one of the most engaging adventure stories I‘ve ever read. The main reason for that was certainly the journey of its protagonist from naive school-teacher to mastermind on a mission; it is actually a kind of „Walter White becomes Heisenberg“ arc, only that Senlin manages to remain a more or less decent human being (something he worries about a lot). Add to this the series of beautifully bizarre places Senlin visits, their even more bizarre social rules and norms and the tentative exploration of matters of exploitation, class struggle and the subtle workings of power, and you get a very pleasant surprise for an occasionally jaded fantasy reader like me. 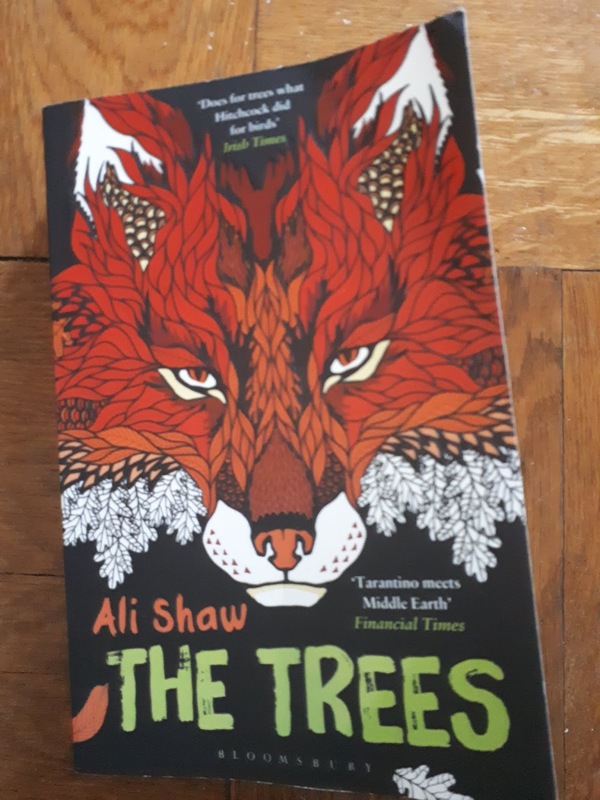 Alas, the impact of the B-word has reached our book club, as it may have come to your attention: the next title for the Speculative Fiction Book Club, The Trees by Ali Shaw, is not stockable right now, because our supplier England is unfortunately not supplying at the moment. We are working on a solution though, so please hang on. We will be able to stock more English books eventually, we just need some time, certainty and stability. Finding fresh impulses, new ways of addressing more people with varying interests is definitely one of the best outcomes of the lively discussions we have on book club evenings. As if reading and exchanging views on geekish books was not awesome enough, discovering new momentum to constantly expand our once small project is all the more exciting and makes me super happy! The Otherland Mythic Fiction Book Club. Honestly, I didn't even know it is a thing, until book clubbing editor Clarence Haynes brought it to my attention; mythic fiction is literature inspired by myths and legends. Reason enough to open up a new branch, sink into this wide wide field and start up on Friday April 26 with this year's highly praised Circe by Madeline Miller. The Otherland in Berlin, Germany, is a bookshop specializing in sf, fantasy and horror, with a large selection of English books. It also carries graphic novels (in German), role-playing games (in German and in English) and other weird stuff. If you want to visit our shop or order something from us, please check out our official website. This blog here is the place where the Otherland team comes to write and chat in English.